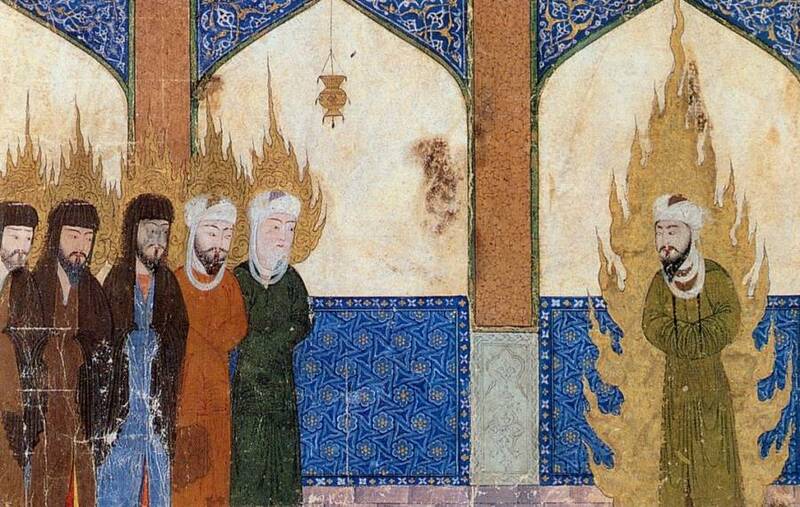 From violence toward outsiders to depictions of Jesus, the central texts of Christianity and Islam are both similar and different in ways you wouldn't believe. 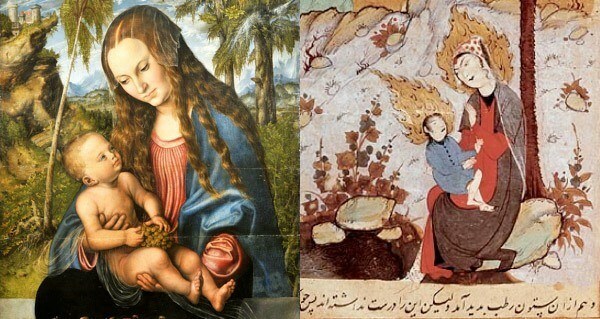 Wikimedia CommonsContrasting Christian (left) and Muslim (right) depictions of Mary holding the newborn Jesus. Many people think of the Quran as a radically different book from the Bible. Moreover, according to this view, even though Muslims and Christians (and Jews) all believe in the same God, these religions are different, distinct traditions. An argument can be made, however, that the similarities between the Bible and the Quran are actually much more intimate than one might think, and that Islam, Judaism and Christianity are closer to being different interpretations of a shared religious culture than totally distinct traditions. According to Muslim belief and scholarly accounts, the history of the Quran began in the year 610, when the angel Gabriel appeared to Muhammad in a cave near Mecca, reciting to him the first verses of the Quran. The angel Gabriel is, of course, an important character in the Hebrew Bible (where he appears to and explains visions to the prophet Daniel) and the New Testament (where he appears to Zecharia, telling him of his son-to-be, John the Baptist). Beyond Gabriel, the Quran is filled with characters from the Hebrew Bible: Adam, Noah, Abraham, Lot, Isaac, Ishmael, Jacob, Joseph, Moses, David and Goliath, Jonah, Mary, and John the Baptist all appear, among others — including Jesus. Those shared characters also participate in many shared narratives between the Quran and the Bible. Among them are the Garden of Eden, the Flood, the choice of Abraham and the creation of the people of Israel, Abraham’s near-sacrifice of one of his sons, Moses and the liberation of Israel from Egypt, the life and death of Jesus, and the idea that God repeatedly sends prophets to humanity to warn and instruct them. As similar as all these stories and characters are, many fascinating differences exist among the texts. These differences appear to have two explanations: First, Muhammad could not actually read the texts of the Hebrew Bible and Christian New Testament (Islamic tradition claims he was illiterate). Instead, he heard traveling Jews and Christians tell oral renditions of Biblical stories, liberally mixed with folklore. Second, Muhammad altered some of the stories’ details to fit his own cultural and theological perspective. Wikimedia CommonsIllustration from medieval Persian manuscript depicts Muhammad (right) leading Jesus, Abraham, Moses, and others (order unspecified) in prayer. The Quran’s transformation of the story of Jesus shows both borrowing from Christian apocrypha (non-scriptural legends) and Muhammad’s editorializing. As an example of the former, the Quran relates that Jesus brought clay birds to life by breathing on them (from the Apocryphal Infancy Gospel of Thomas) and could speak as a prophet in the cradle (from the Apocryphal Arabic Infancy Gospel). However, Jesus’ ethical teachings, his parables, and the narratives of his life as an itinerant rabbi and healer — which make up so much of the Bible — do not appear in the Quran. 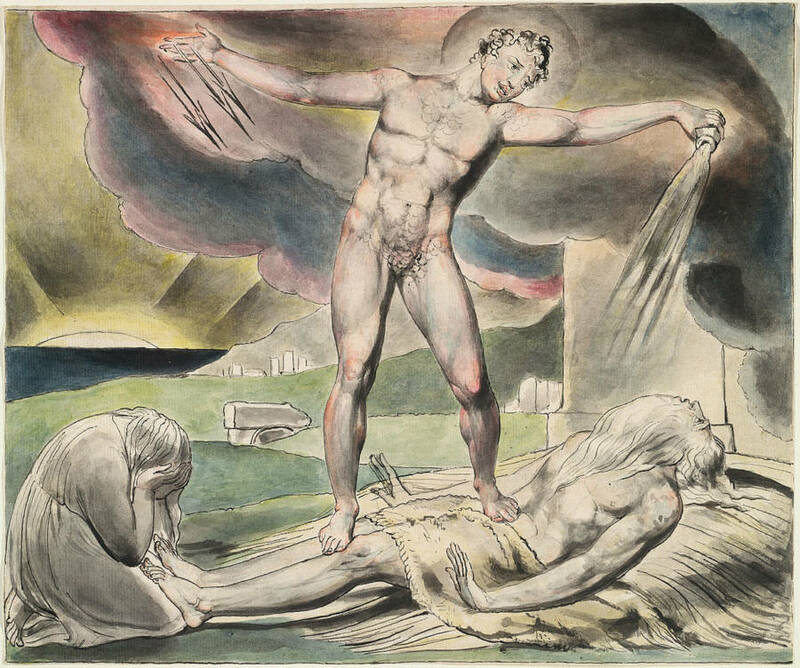 Wikimedia CommonsSatan Smiting Job with Boils by William Blake. The angels, however, objected to creating humans because they believed that humans would become violent (Quran 2:30). This same detail about the angels occurs in the Jewish Talmud, a then-circulating piece of Jewish folklore. In the Muslim tradition, God next commanded all of the angels to prostrate themselves before Adam, to honor God’s new creation, and to display obedience to God. All of them did so except for Shaitan, a jinn (spirit) who refused to comply because he viewed Adam as inferior to him. Shaitan (the Muslim equivalent of Satan) subsequently swore to mislead mankind from the path of God, who responded by expelling him from the Garden (Quran 7:11-12). This story appears to be a development of a Christian legend present in The Life of Adam and Eve (circa 100-300 CE), which recounts the Archangel Michael bringing Satan, then still an angel, to bow to Adam, with Satan refusing to bow. In Muhammad’s understanding, evinced several times in the Quran, angels are too lofty to rebel in this way, so he makes Satan a jinn, a kind of spirit being from Arab folklore who can be either good or bad.